We are dedicated to ensuring that every relevant professional would be vigilant in their practice to spot the signs of exploitation and be able to report them easily. 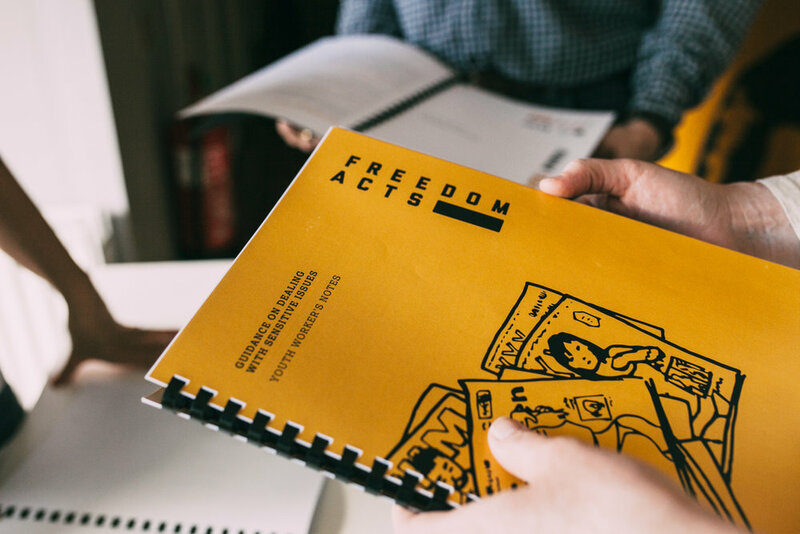 "The ability of the Freedom Acts team to engage all of the participants was evident from the start. They were thorough,professional, knowledgeable in their area of expertise and a joy to work with." £50 a month will enable us to deliver a series package of bespoke training to front-line professionals on how to identify victims of exploitation and ways to report concerns securely. £25 a month will help us to deliver a workshop to professionals on the signs and indicators of exploitation. £15 a month will enable us to produce training packs for professionals.